Electric Cars and the Hybrid market – Is Going Green worth It? The times – they are a changing! Gone are the days when gasoline prices were so low that you didn’t have to think twice before tanking up. Increasing gas prices accompanied by rising costs of other essentials have made life for the average Joe pretty difficult – on road as well as at home. Propelled by the need to save on gas, more and more Americans are choosing hybrid and electric cars over conventional vehicles. But there’s more to this trend than the simple cost factor. At a time when global warming has become a real threat and indiscreet use of non-renewable resources has come under scrutiny, going green is no longer just fashionable or politically correct. Making environment-friendly choices is no longer an option. We need to reduce pollution, reduce our dependence on oil products as fuel, and most importantly save the earth from dying a slow and painful death! One of the easiest and most convenient environment friendly change that you can make to your daily life is using a hybrid or electric car. For the uninitiated, there are certain differences between a hybrid and an electric car. 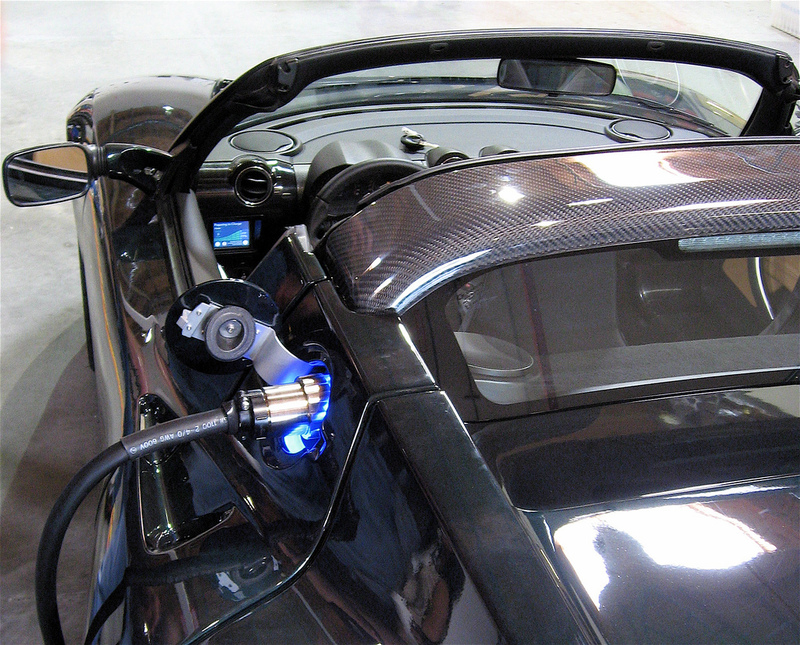 A hybrid car is one that uses both electricity as well as gas to power the engine. A hybrid car typically has two types of motors – an electric motor and a gasoline motor. The electric motor is the main source of energy for the car, but every time the battery begins to run low, the gasoline powered motor kicks in and starts powering the car. Plug-in hybrids are cars that have batteries that need to be charged by plugging them into an outlet. Purely electric cars, on the other hand, are solely powered by energy generated in the vehicle itself or stored in a battery. The disadvantage of a battery-operated all electric vehicle is that it has no gasoline backup, which means if you run out of charge, you will pretty much have to call road assistance to bail you out of the situation. Are Hybrid/Electric Cars Worth It? Go green – Give back to the Environment: The environment has given and continues to give us so much – from clean air to breathe to electric power that keeps our homes comfortable and bright. It’s time to give back to the environment by making eco-friendly choices. People all over the globe are looking for ways to reduce their carbon footprint, not just because it’s fashionable, but also because they realize how real the threat looming over our environment is. By choosing a hybrid or electric vehicle over a conventional one, you are also doing your bit for the environment as they contribute to fuel economy and emit less polluting gases. Save money – cut fuel costs: Just like global warming, the economic meltdown, too, is a problem that affects us. The post economic downturn-American is a much wiser person who watches his expenses and looks for ways to cut down costs. It’s a known fact that hybrid and electric cars provide better mileage as compared to cars powered by internal combustion engines. Hybrid/electric cars are also more energy efficient as compared to conventional vehicles. According to the U.S. Department of Energy, electric vehicles convert about 59–62% of the electrical energy from the grid to power at the wheels, while conventional gasoline vehicles only convert about 17–21% of the energy stored in gasoline to power at the wheels. Get incentives and perks: There are federal, state, and city-level incentives for drivers of hybrid or electric vehicles that include tax credit, free or discounted parking, priviled driving rights, etc. If you work for a company that supports environment-friendly behavior, you may also get some special perks for choosing a hybrid car over a conventional one. Discounts on loans and insurance premium: How many of us pay out of our pockets to buy a car? The answer is probably just a handful. Most of us are dependent on auto loans to finance our vehicles and buying a hybrid car puts you in a sweet spot vis-a-vis loan companies. Many banks offer lower rates for hybrid cars. What’s more, you may also get a discount on your auto insurance premium for a hybrid or electric car from carriers such as The Hartford, Prudential Financial etc. Find out from your auto insurance carrier if they offer any such discounts. Clearly the advantages are many for using a hybrid or electric car. The way the world is headed, oil-based car fuel may soon become a rare commodity. The sooner we adapt to alternatives, the better it is for us as individuals and communities. Author Bio: Elvis Donnelly is a father of two who works from home and lives with his wife. He is voracious reader and always looks out for happening topics related to personal finance. He specializes on subjects related to insurance and uses his spare time to write on topics related to saving money tips, automobile insurance etc.